Lake house trips are the mini summer vacations we crave when it’s time to recharge and relax. 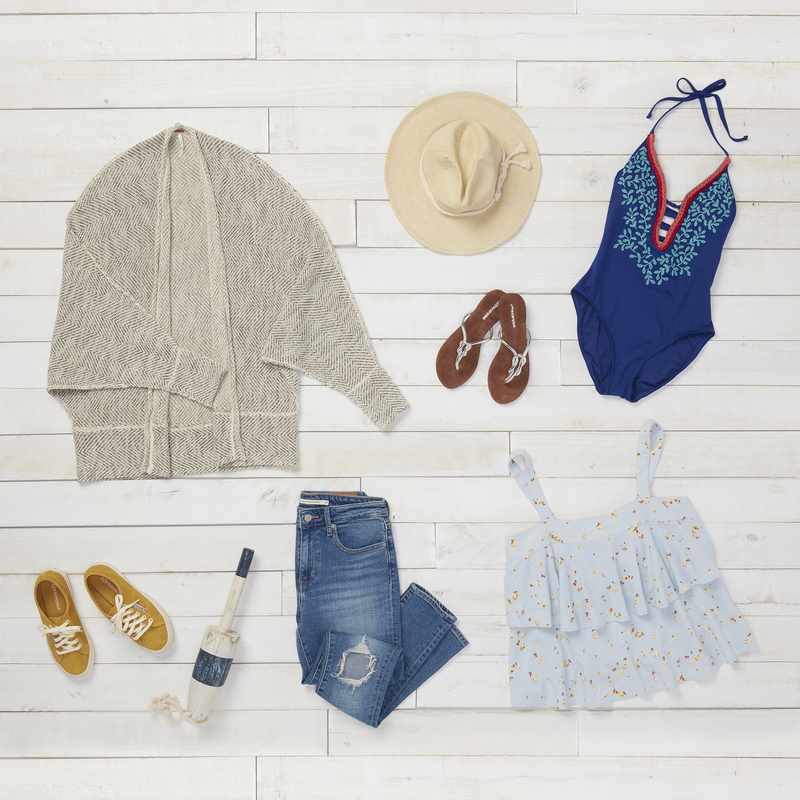 Instead of spending that well-deserved weekend changing in and out of your swimsuit, we can help you find coordinating pieces to throw on as the day goes by. Because when you’re fishing in the morning, boating in the afternoon, and settling down for a burger hot off the grill in the evening, an intentionally layered outfit makes it easy to transition from one activity to another. Not all lake days are spent in the water. Sometimes a good book and an ultra-comfortable sweater are all you need. For added leisure, tie-waist shorts have the perfect amount of stretch when curling up is on the agenda. Maybe ask for a pair in cotton–that way they’re easy to dry if you get splashed by the surf on your beach stroll. 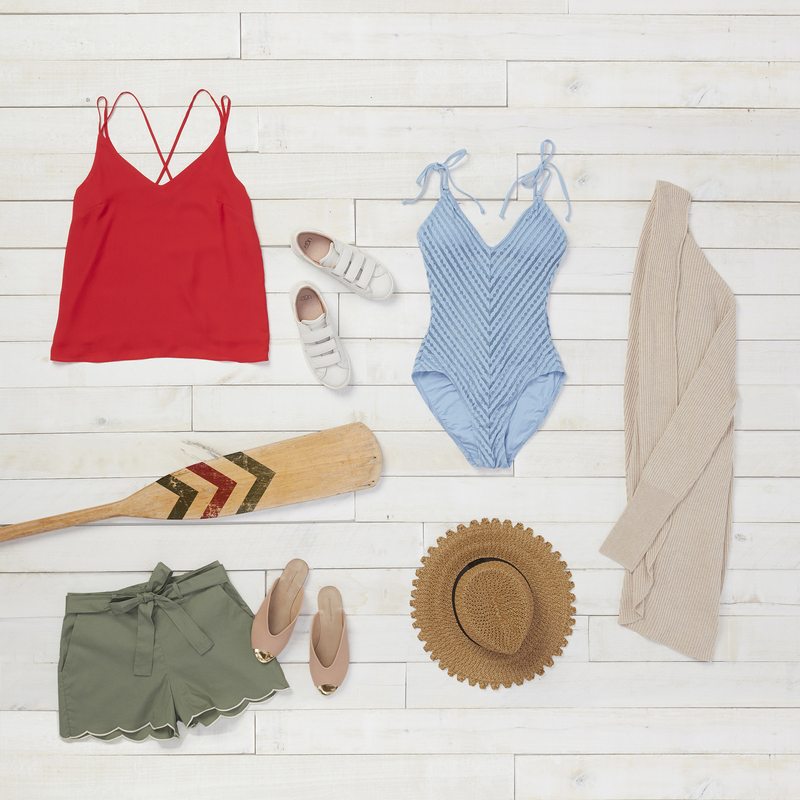 After drying off from boating all afternoon, use your swimsuit as the first step toward building the rest of your outfit. With relaxed, distressed jeans, a slouchy cardigan, and your comfiest slip-on shoes, your suit immediately transforms into a tomboy–chic ensemble. Lake house trips are all about vacation vibes and relaxation. That’s why we’ve chosen accessories like straw hats and bold, vibrant colors for this look. Airy tops and wide leg pants are the epitome of comfort, especially when the breeze is blowing out on the lake. Don’t feel like changing later in the day? Toss everything on over your suit.